The year is almost over and I’m probably not going to finish another book, so I figured I might as well write up my annual year in reading post. According to my Goodreads account, I read 37 books in 2015. My goal was to read 24 books and I love exceeding goals, so I feel very good and happy about reading 13 more books than I thought I could. Throughout 2015, I wrote tiny little reviews of many of the books I read. Here are reviews from January – March, April – June, and July – September. And below is my full roundup from this year, without any commentary because I’m lazy as hell today and I didn’t write any last year either. 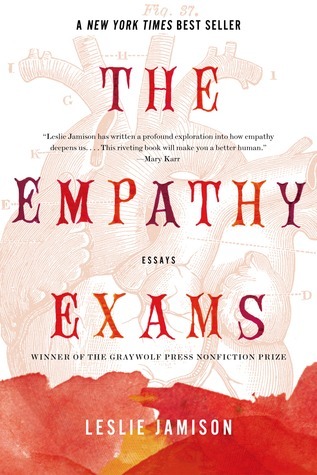 I read The Empathy Exams during my time off from work in late December and early January. Since then, I’ve spent a lot of time thinking about Leslie Jamison’s essays on how we experience the pain of others, not to mention our own pain. Whether writing about the personal – falling in love, drinking too much, getting an abortion – or subjects a bit further flung – Morgellons disease, an extreme endurance race – Jamison’s observations struck me over and over again as honest, intelligent, and enlightening. Tampa is a book about a female middle school teacher who uses her position to have sexual relationships with pubescent boys. I know that sounds fucked up but, guys, listen to me. It’s really good! I mean, it’s also fucked up. But it’s funny, suspenseful, and very well-written, and those things made for a very enjoyable reading experience. This was the third time I’d read this book in the last three years, so it’s really hard for me to even try to talk about it objectively. (Not to suggest that this is a space where I would ever talk about anything objectively; it’s not.) I think I’ve written about this book on Emphatic Hands at least two times already, so I’m sorry, I guess, if you’re sick of hearing about it, but you’ll just have to bear with me. I reread How Should A Person Be? both knowing that I was going to see Sheila Heti’s play, All Our Happy Days Are Stupid, which is a not insignificant part of this autobiographical novel, and feeling that I needed its guidance. I was at the end of a short-lived but significant (to me) relationship, struggling with how to process a lot of things happening in my life, trying once again to figure out what kind of person I should be. Heti’s exploration of female friendship, relationships with men, art, and identity struck a chord with me once again. There is nothing better than revisiting a beloved book and finding that it still resonates. Edward Albee’s Three Tall Women was an unusual pick for our book club in January. We had never before read a play. I don’t read plays often, but when I do, I usually wish I did so more. Three Tall Women examines the life of one woman at three different stages of her life. It was, at times, painful, and I almost certainly would have rathered see it performed on stage, but the subject matter was relevant to my interests as a reader and a writer, so I would say that I’m not worse off for having read it. Oh, boy. I loved this book so, so much. The Story Of A New Name is the second book in Elena Ferrante’s Neapolitan series and I think it was my favorite of the three books that have been published. (I wrote about My Brilliant Friend here.) In this novel, the narrator, also named Elena, continues the story of her friendship with the ferocious Lila, whose wedding ended the previous installment. While Lila becomes a glamorous young wife in their Naples neighborhood, Elena forges ahead with her studies, eventually leaving the neighborhood and the city altogether. The urgency and beauty of this book stirred something up inside me. It made me want to experience more of life, to write more (and improve my writing), to be honest with myself and others. I suspect my strong reaction had a lot to do with the highly emotional state I was in for basically all of this winter, but I have yet to meet anyone who’s read these novels who hasn’t been affected by them. Actually, that’s not true. My therapist told me that she read Those Who Leave And Those Who Stay and thought it was fine, but felt it was unfinished. I contend that she may have liked it more if she had read the first two books before reading this third one, the penultimate novel in the series. Elena and Lila are adults in this novel, living completely separate lives. 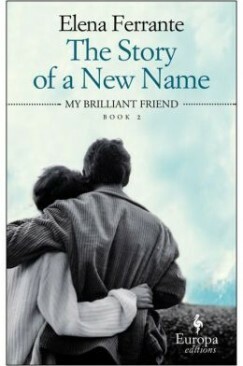 Everything I said about The Story Of A New Name could apply to this novel. I read it even more quickly, but was slightly disappointed by some of the characters’ actions and found myself having to try hard to pay attention to passages about political philosophy. I have recommended Station Eleven to almost everyone I know since I finished it. I firmly believe that anyone can find something to like in this book. (I think its overwhelming win in The Morning News Tournament of Books is proof of that, though I’m not sure I would have voted for it over All The Light We Cannot See.) Mandel brilliantly bridges the world as we know it today with that of a postapocalyptic future with that of a graphic novel written by one of the main characters. There are maybe a few things I could complain about, but I was in awe of the novel’s construction and it was just a really fun book to read. 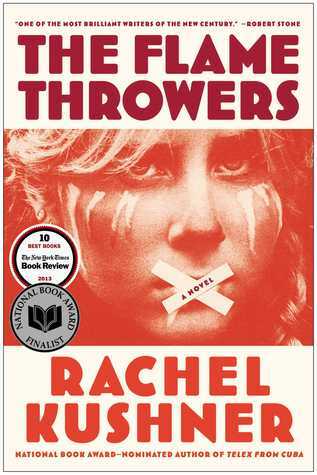 I felt The Flamethrowers was a book that I had to read, but didn’t want to read. Naturally, I ended up really liking it. It’s narrated by Reno, a young artist who moves to New York City in the 1970s. She becomes an observer of the art world, a motorcycle racer, a lover of men. I related to her struggles to adjust to a world that is harsher than she had imagined, to figure out who she is as an artist, and define herself as an individual. I was saddened and disappointed by the men with whom she has relationships. By the end, I wanted more. It turns out my first three months of reading this year were bookended by spectacular books of essays. The Unspeakable includes ten original personal essays in which Daum explores her mother’s death, her decision not to have children, embarrassing encounters with celebrities in Los Angeles, and other topics that she deems “unspeakable.” Some essays were more powerful than others and there was at least one (“Honorary Dyke”) that perplexed me, but I devoured this book over the course of two busy days. I admire Daum’s candor and humor and I aspire to one day write so well about my own life. I wrote about many of these books during the past year on this blog. (Here are reviews from January-March, April-June, and July-September.) If you’ve also read any of the below, hit me up. I’m far too lazy (i.e. nervous to share my honest opinions) to actually review all of the books I read, but I will always make time to talk about them. Finally! The first quarter of the year has passed and I can share the first of my reading roundups. I did not, as I had anticipated, start this year in reading off with a bang. It’s been hard for me to keep my usual pace, but I was able to get through a bunch of books, some of which I’ll recommend that you read! Hild is a historical novel, the imagined story of St. Hilda of Whitby, an Anglo-Saxon noblewoman who became instrumental in converting England to Christianity during the 7th century. Yes. It wasn’t a page-turner, but it’s one of the best examples of historical fiction I’ve encountered in a while. I was really impressed with the period details and the amount of research that undoubtedly went into this book. 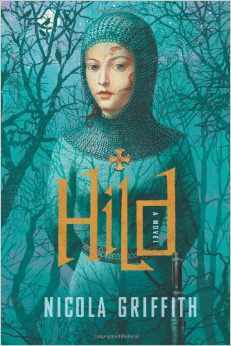 I’ve encountered few characters as complex and fascinating as Hild. She’s obviously the main event, but I think it’s worth noting that Griffith does an incredible job developing Hild. Also, the world of the Anglo-Saxons was not something I was intimately familiar with and I really enjoyed getting lost in Griffith’s imagining of it. I highly recommend this novel to lovers of historical fiction or, even, fantasy, since the setting has a lot in common with something like The Mists of Avalon. This is about the life of Gary Shteyngart, author of novels such as The Russian Debutante’s Handbook and Absurdistan, as told by Gary Shteyngart himself. I did. I liked it more than his novels. I thought it was funny and touching and I wrote a little something about all that here. If you’ve read his other work and liked it, definitely! If you’re not a Shteyngart fan, I’d probably skip it. But if you’re neutral and also happen to be a writer looking for inspiration or just like funny memoirs, you should check it out. This is the second volume in a planned trilogy of graphic novels about Berlin during the Weimar Era. This chapter takes place after the 1929 May Day demonstration, picking up with main characters, art student Marthe Muller and journalist Karl Severing, in addition to several other Berliners. The focus here is not only on the tense political climate, but also on Berlin’s nightlife and party scene. If you’ve read the first volume, well, you’re probably going to read this eventually. I highly recommend reading the first volume to anyone who is interested in German culture, the Weimar period, or World War II, as I think Lutes does a really fantastic job of portraying what it was like to live in Berlin – across class, religion, gender, and race – in the decade before the war. Bechdel explores her relationship with her mother and her understanding of herself through psychotherapy in this graphic memoir. I loved this. Many of you may have read Bechdel’s Fun Home, which I liked very much when I read it. However, there were things about Are You My Mother? that I related to on a much deeper level, specifically the exploration of the mother-daughter relationship and the focus on psychotherapy and psychoanalysis. Yes. Especially if you’ve ever been in therapy for a significant period of time. Also if you’ve ever had a mother. This book, based on the blog of the same name, is a collection of graphic essays about cartoonist and writer Allie Brosh’s life. As I had expected, this book made me laugh. It also made me feel a lot of other things, which I wrote about here. And Brosh’s ability to tell a story in her own unique way makes me feel not-a-little-bit jealous. Yeah! I mean, if you hate reading about someone struggling in the funniest way possible, don’t. But otherwise, yes. This novella is the story of how a man was murdered in a Caribbean backwater. I did not. I felt it was heavy-handed and surprisingly boring for a short book about murder. I wanted to think it was good, probably because of who wrote it, but…it was frankly a chore to get through and I’m pretty sure I only finished it because we read it for book club. No. For the reasons I stated above. Frank, a middle-aged London man, attempts to connect with his lover Johnny, a married, working class man who has been jailed for theft, by caring for his beloved dog Evie. In the process, he must navigate relationships with Johnny’s wife and mother and sort out his growing attachment to Evie. Yes? I think. I read this while I was at jury duty on-and-off over three weeks because I was reading a non-fiction book at home, so I had kind of a slow and weird experience with this one. I wouldn’t recommend this to everyone. I thought it was a bit difficult to get through and, at times, made me uneasy. But I think if the premise sounds interesting to you, you should give it a try. Oh, God. Okay. It’s about an elderly Chicago man, a Holocaust survivor named Ben Solomon, who decides that another elderly Chicago man, another Holocaust survivor who is a wealthy philanthropist named Elliot Rosenzweig, is actually a man he grew up with named Otto Piatek, a Nazi known as “the butcher of Zamosc.” From there, the reader experiences both a modern-day legal drama as Ben sues “Otto” over stolen property and the story of Ben’s experience during the Holocaust. To be honest, this was one of the worst books I’ve read in a very long time, if not ever. It’s not all bad, but…much of it is. The way the story is told is ridiculous, as most of the stuff that takes place in the past is told in dialogue. Pages and pages of dialogue. Also, the history is super basic. (Like a character who is supposed to be smart asks what a ghetto is because she doesn’t know. And that’s just one offensive detail.) And I could have done without the legal drama, which seems jammed in here merely because the author was looking for a way to make this about the law, as he himself is a lawyer.